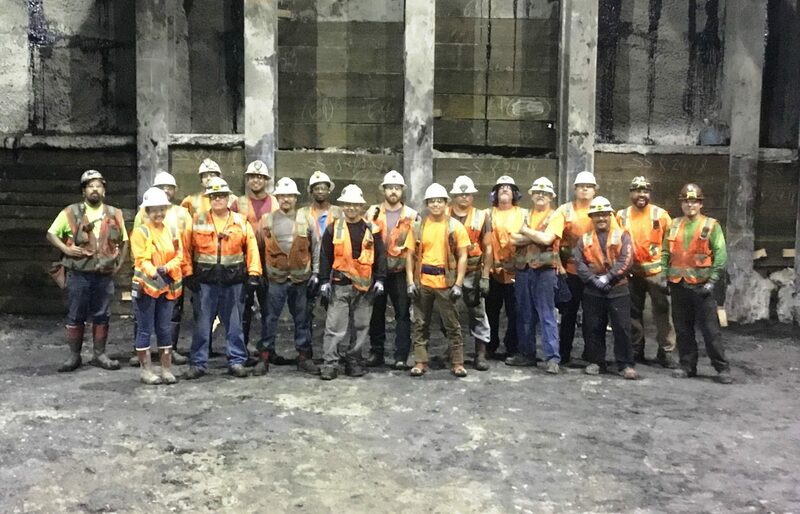 Traylor Driven Featured Work: Excavation and SOE in Asphalt Impacted Soils - Traylor Bros., Inc.
Our August Featured Work highlights two of our nominated work products—one from the office and one from the field. Next is Excavation and Support of Excavation in Asphalt Impacted Soils at Fairfax Station at our Westside Subway Extension project, helmed by Joe Bowlin. The Westside Subway Extension project is challenging, to say the least. The $1.6 billion design build project adds nearly four miles to the Purple Line subway in downtown Los Angeles. In addition to its sheer size, the project has been classified as ‘gassy’ by CalOSHA, requiring strict safety measures. 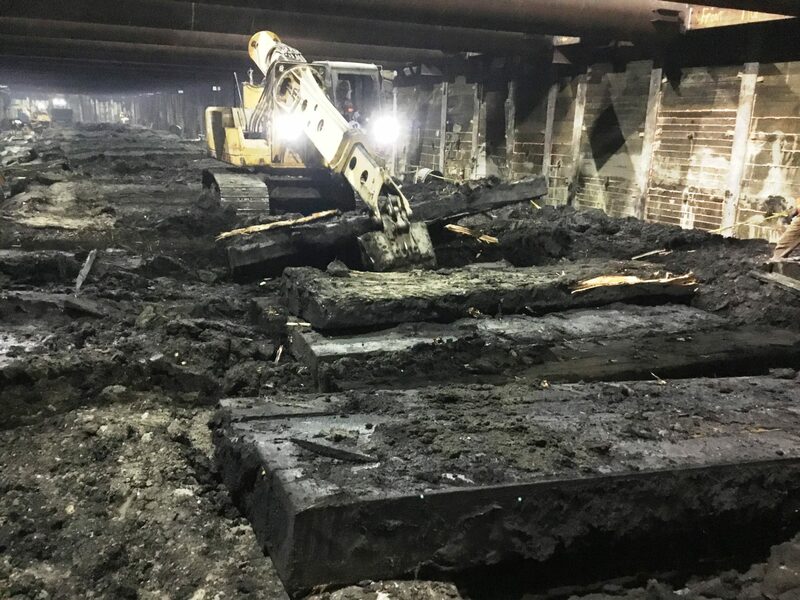 Excavation at Fairfax Station was particularly challenging due to its size and proximity to the La Brea Tar Pits, which not only create a gassy environment but generate asphalt in the soils in the area. 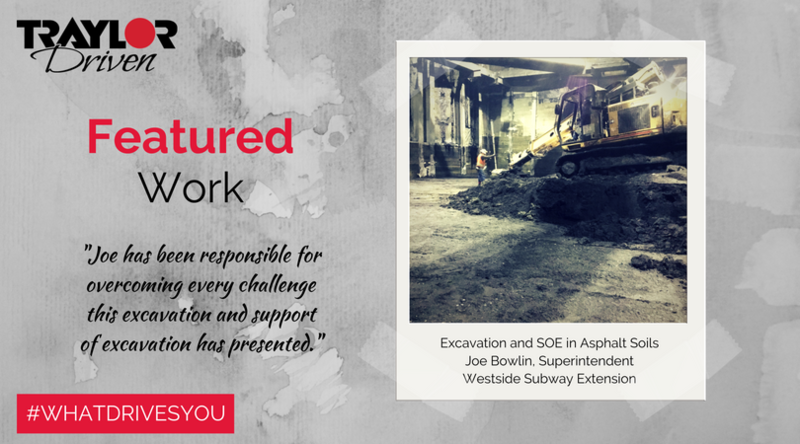 Few, if any, have excavated and supported an 80-foot-deep by 60-foot-wide by 1,000-foot-long excavation in asphalt impacted soils—except Joe and his team. TBI: Tell us the story of how you handled the excavation and SOE. Joe Bowlin (JB): My role here started after piles for the SOE were nearing completion in March of 2017. 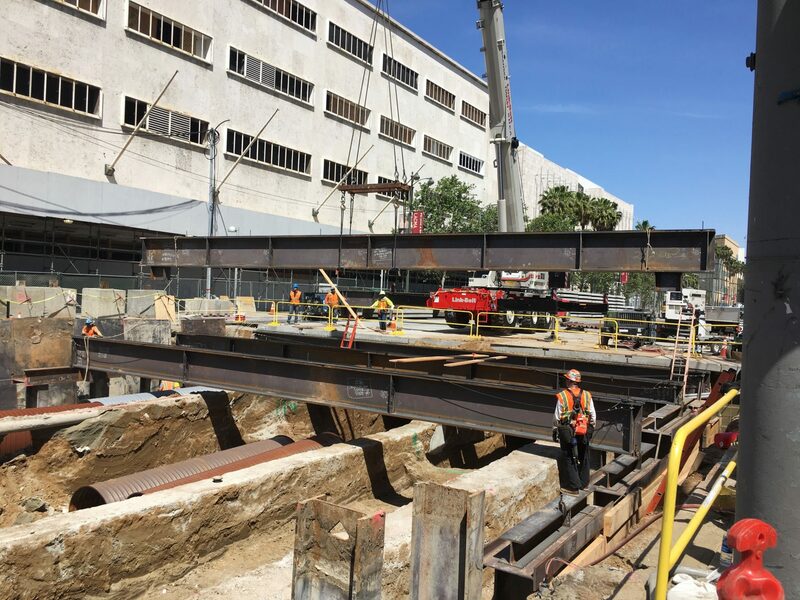 I started by planning and installing the temporary decking along Wilshire Boulevard, which was placed on top of the piles, replacing the existing road with a bridge to support the traffic above once excavation underground started. The station is being constructed just a few blocks west of the La Brea Tar Pits; most of the soils that were excavated are asphalt impacted. This asphalt material comes with high concentrations of hydrogen sulfide and methane gases. To mitigate the risk of these hazardous gases, we determined that ventilation must be installed prior to excavation commencing under the deck. We installed 85 percent of the main ventilation fanline during decking, rather than waiting until the first level of bracing was installed. Asphalt impacted soils are not only hazardous due to gases, but have proven to be very unstable. Our first challenge was to figure out how to run equipment on tar impacted soils. If you’re familiar with the La Brea Tar Pits, you might know about how wooly mammoths became trapped in the tar. We thought it would do the same to our heavy equipment. To prevent the equipment from sinking, we built roads from timber crane mats. This made it possible to carry and install the heavy steel used in the SOE, as well as to remove the spoils. The conditions have been extremely difficult to work with. Oil is literally seeping through the lagging and up from the ground. Just walking around can be difficult due to your feet sinking and getting stuck. But we managed to reach the bottom with no recordable or lost time injuries. TBI: Tell us about your role at Westside. JB: I am the superintendent at Fairfax Station. I run all of the field work at this station. JB: When not at work I enjoy the outdoors. TBI: You’ve been nominated by your peers because you motivate others. What drives you? JB: What drives me, and the reason I joined Traylor, is that we take on projects that are a challenge. We don’t take the easy ones. When I started at Fairfax a lot of people said this station couldn’t be built. I wanted to prove them wrong.